Veterans Day is celebrated in the U.S. on November 11 each year -- although if November 11 falls on a weekend, holiday leave may be given on the nearest weekday preceding or following the holiday. In 2018, November 11 falls on a Sunday. Veterans Day is a U.S. national holiday set aside to honor, remember, and thank those men and women who have served our country through their military service. 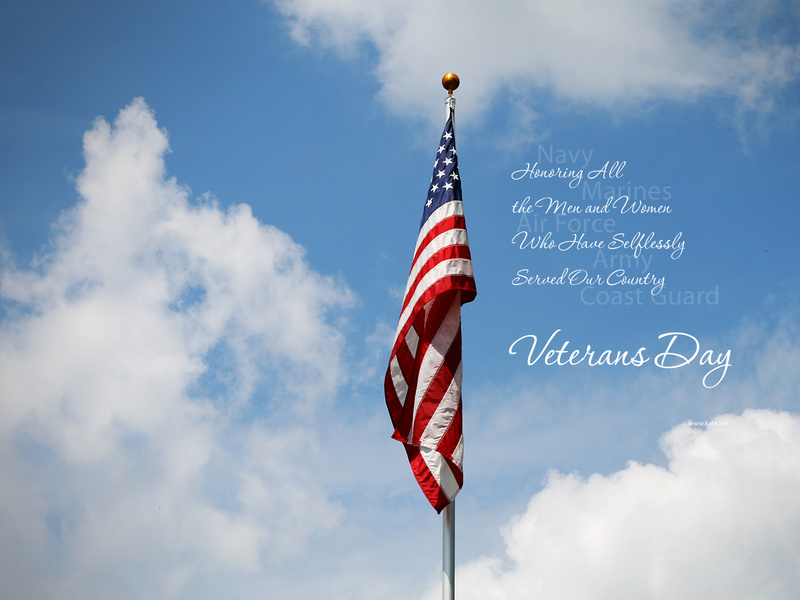 The U.S. Department of Veterans Affairs describes the observance as a day, "to thank and honor ALL those who served honorably in the military - in wartime or peacetime." 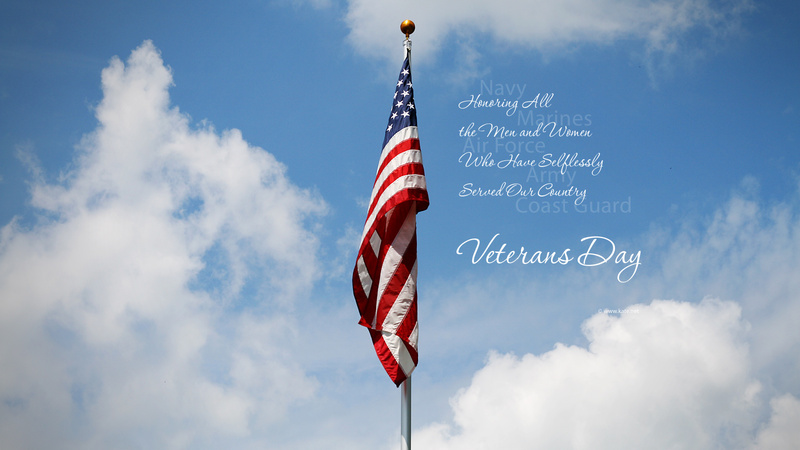 Not to be confused with Memorial Day, which is a special observance to remember those who lost their lives in service to the country, Veterans Day is a day to thank and honor living veterans for their service, as well as remember those who lost their lives, with the former generally being the more prominent focus of the day. 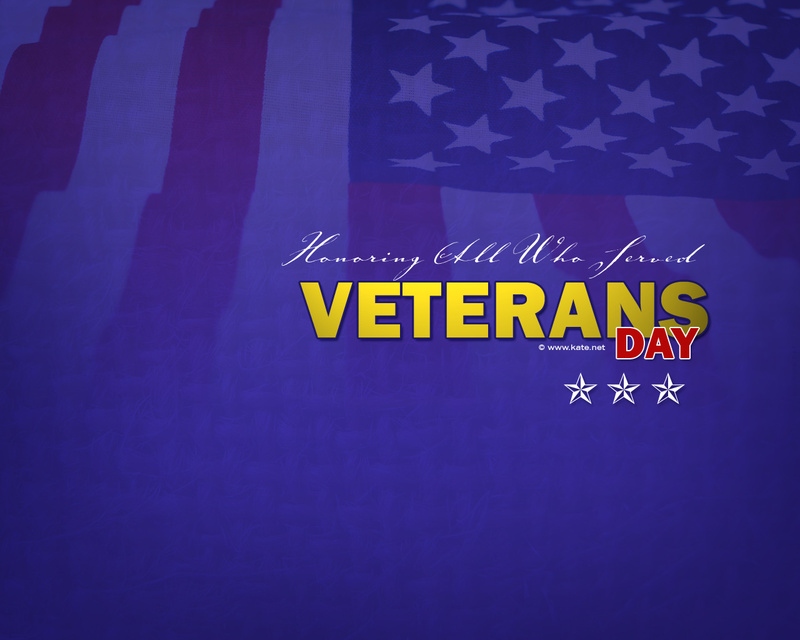 Is it "Veterans Day" or "Veterans' Day"? Per the U.S. Department of Veterans Affairs, the proper usage is "Veterans Day," as the day does not belong to veterans (thus no apostrophe denoting possession), but is instead a day to honor all veterans. In November 1919, President Woodrow Wilson proclaimed the first "Armistice Day" to honor the end of the "war to end all wars," WWI. The November 11th date was chosen in remembrance of the armistice (the cessation of hostilities between the Allies and Germany) which went into effect on the 11th hour of the 11th day of the 11th month of 1918. In 1938, Congress passed legislation to make the day a legal federal holiday. Armistice Day generally became a day to honor those who served in WWI. It wasn't until 1954 that President Dwight D. Eisenhower and Congress, at the request of various individuals and veterans groups, amended the 1938 law to change the observance's name to "Veterans Day" to honor all veterans who had served, including by this time veterans of WWII and the Korean War. For a period of time in the 1970s, the date of the national holiday was changed on the federal level to occur on the fourth Monday of October to allow for another three-day weekend for federal employees. Many states, veterans groups, and citizens disagreed with the date change, however, preferring that Veterans Day be held on the historically significant date of November 11. In 1975, President Gerald R. Ford signed legislation changing the date of observance back to November 11. This law took effect in 1978 and remains in effect today. 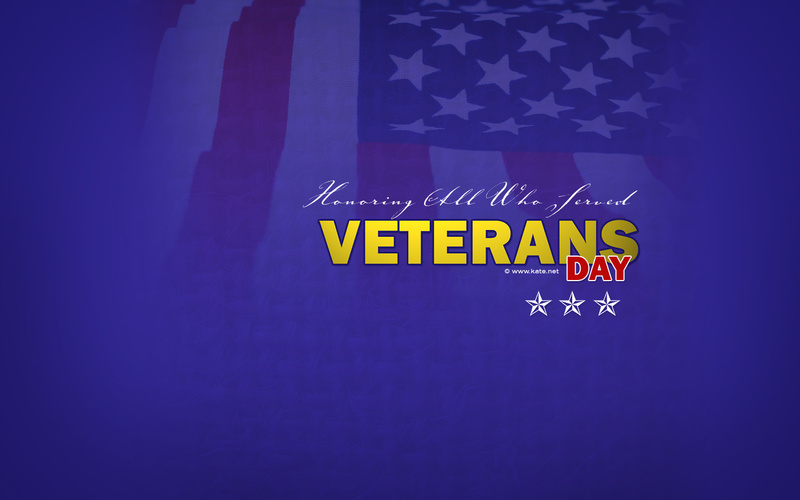 Click through to the Kate.net Holiday Facebook Covers page for Veterans Day Facebook Covers! 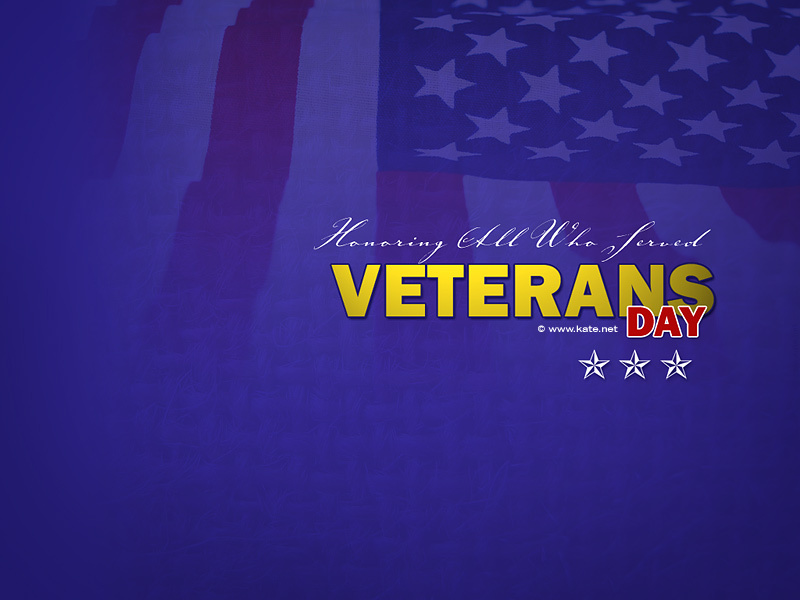 Original free Veterans Day wallpaper was designed by and is Copyright © Kate.net. Free desktop wallpapers are for personal use only and may NOT be redistributed in any format (they may NOT be put on any other web site or on disc for distribution), whether commercially or for free, NOR may they be altered or used in other formats whether in part or in whole. These images may NOT be printed in any format, whether for personal or commercial use. Thanks! 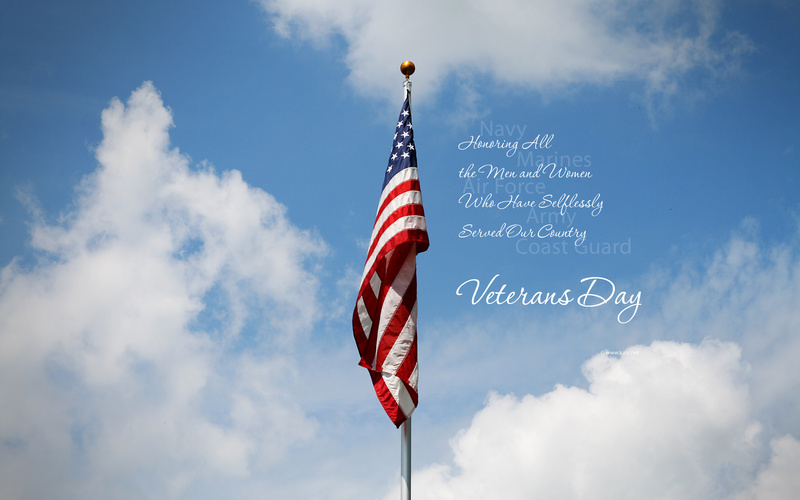 Includes Veterans Day history information. Download current year's poster in different formats and view posters from past years.